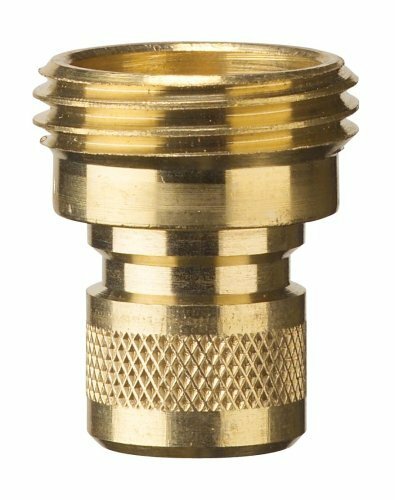 Nelson 5 Pack (10 Total Connectors) 50335 Brass Hose Quick Connectors, Male - 2 Pack by Nelson at Go Plots. MPN: 50335. Hurry! Limited time offer. Offer valid only while supplies last. 50335 Features: -All brass body. -Fits standard garden hoses, outdoor faucets and watering products. -Hose connector. Product Type: -Hose connector. 50335 Features: -All brass body. -Fits standard garden hoses, outdoor faucets and watering products. -Hose connector. Product Type: -Hose connector. Dimensions: Overall Height - Top to Bottom: -4.5 Inches. Overall Width - Side to Side: -1.75 Inches. Overall Product Weight: -0.17 Pounds. The LR Nelson Hose Quick Connectors make connecting garden hoses a breeze. Each-Pack comes with two connectors and are designed to fit standard garden hoses, outdoor faucets and watering products.